Stream anime episodes online for free, Watch Golgo 13 Episode 15 English version online and free episodes. 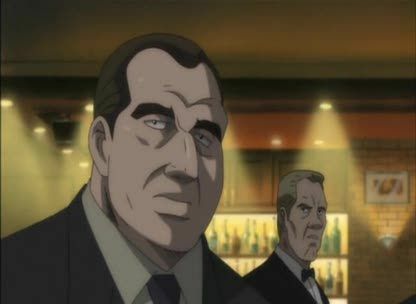 Anime Episode guide, Chapter Golgo 13 Episode 15 English dubbed Eva, Heading for the Sea Golgo 13 is hired by the New York Mafia to assassinate an international assassin. She turns out to be Eva Kruger, a woman Golgo had met on a cruise ship when an unknown terrorist had planted a bomb on it. The two parted ways after he defused it to save the passengers despite being told by the ship’s crew to evacuate with the rest of the passengers. But even though Eva decides to retire as an assassin and be a civilian, Golgo had successfully assassinated her from a distance on another boat. 5 / 5 - 4 ratings.